Le Chateau oceanfront condominiums in Atlantic Beach, Florida. 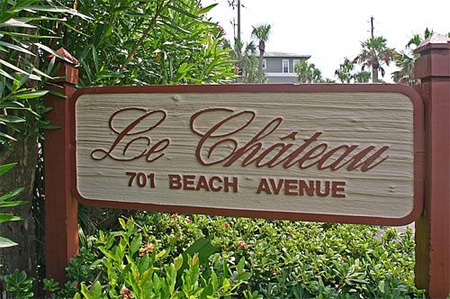 Le Chateau is a beachfront condominium community located in Atlantic Beach just steps from Atlantic Beach Town Center. Le Chateau features 12 private residences, elevators, garage parking, and swimming pool. For a private tour and showing at Le Chateau, please call (904) 307-8998.